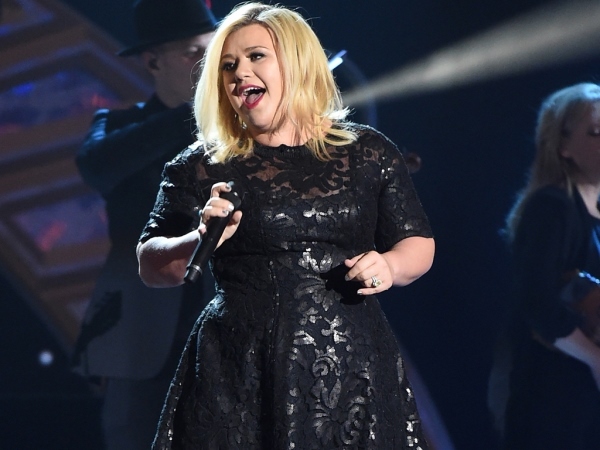 Kelly Clarkson is happy to "rock with" what she's got when it comes to her figure. The 32-year-old singer welcomed her daughter River Rose with husband Brandon Blackstock in June last year and has maintained a curvy physique since then. Her weight has come under scrutiny throughout her career but Kelly insists she's content with letting things happen naturally when it comes to slimming down, shunning the Hollywood ideal. "I'm not willing to work really hard to be skinny. I have never put pressure on myself to lose weight, and I just rock with what I've got," she explained to British magazine Closer. "With baby weight, my philosophy is that it took a long time to put the weight on, so it will take a long time to lose it. I have a stylist who dresses my body really well, but if it were up to me, I'd wear jeans and a T-shirt every day!" Not only is Kelly comfortable in her own skin but she also has little time to hit the gym. While she's spoken before about being a fan of using a treadmill, she isn't relying on it this time round to get trim. She maintains the notion that the weight will come off the time is right. "Counting how much weight you put on during pregnancy is the dumbest thing a woman could do," she exclaimed. "All I was concerned about was my health." And her little girl is a "great baby", sleeping soundly for 12 hours a night and enjoying her mum's music at a high volume as she nods off.